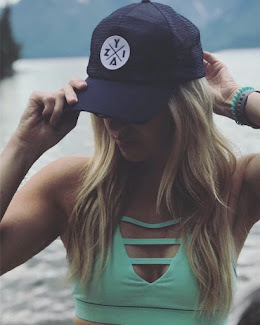 You all loved my Summer Safety Tips For Baby it is one of my most popular, semi - viral posts! 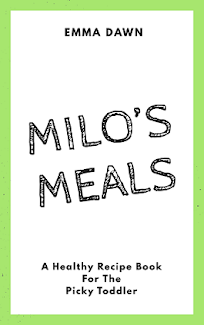 That may have been the first post many of you read and the reason you started following my blog. In conjunction with the impending season change I figured I would carry on with the safety tips and share some tips for the winter. 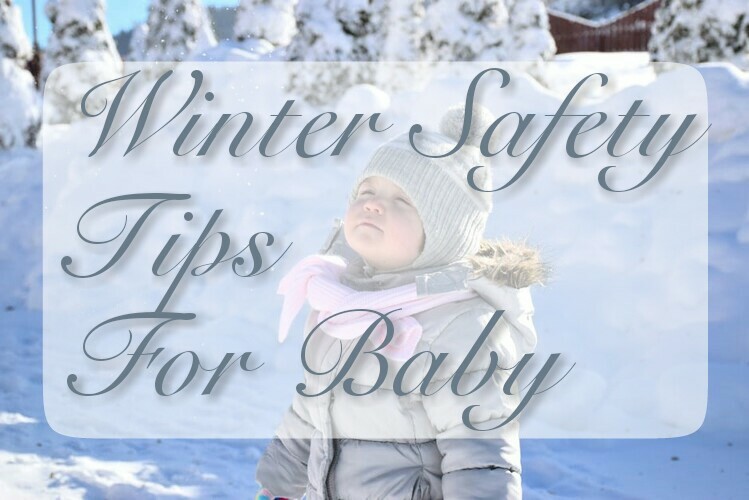 I am no doctor or child safety specialist, but after many hours of research and recommendations from my incredible pediatrician here are some solid tips to help you and your baby stay safe through the colder months. I know it is often much easier to carry baby in alone vs. lugging in an entire carrier. However, when it comes to winter safety it is better to store the car seat at room temperature. This helps reduce the loss of your baby's body heat. 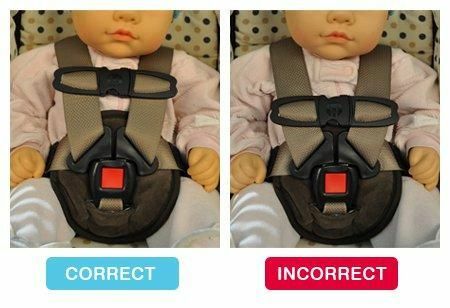 With baby wearing multiple layers it may be difficult to determine if the harness straps in your car seat are tight enough. If you can pinch the strap and it folds then it is too loose. You should be able to tightly slip one index finger between strap and baby. With winter layers pushing the harness buckle down make sure to adjust and secure the buckle in the proper location before beginning your automobile journey. The harness buckle should always be centered on baby's chest. Pack an emergency bag for your car. Keep extra blankets, dry clothing, extra hats and gloves, and non-perishable snacks in your car in case of an on-road emergency or your child gets wet on a winter outing. Also, you can purchase or design your own first aid kit, that should always be in your car no matter the season. Always be sure to start your car and turn on the heat allowing it to sit before traveling with baby. This is good for your car, baby and you. Avoid puffy bulky clothing between baby and harness. Dress in light layers and use a blanket to cover over harness or wear coat backwards. Do not place a blanket or a snowsuit under the car seat straps. Dress toddlers and children in one more layer of clothing than you would wear yourself. First layer: Thermal underwear, sock liners, wool socks, and glove liners. Second layer: Turtleneck, sweater, or a vest, plus sweatpants or ski pants. Third layer: Water-resistant jacket, a hat, mittens, and waterproof boots with gripping surfaces. Instead of a scarf, buy a neck gaiter. A scarf can get caught on objects, posing a strangulation hazard. Be sure baby's fingers, toes, ears, nose, and chin are covered but that she can still breathe easily. blankets, quilts, pillows, sheepskins, and other loose bedding may contribute to Sudden Infant Death Syndrome (SIDS) and should be kept out of an infant's sleeping environment. Sleep clothing like one-piece sleepers is preferred. "Using a humidifier, especially in your child's room, can minimize the drying effects of the season," says Anthony J. Mancini, M.D., an associate professor of pediatrics and dermatology at Northwestern University, in Chicago. According to the American Academy of Pediatrics, infants don't need to be bathed every day. Two or three times a week is enough for an infant's first year; more baths may dry out the skin, especially during the winter. If your baby finds a nightly bath to be relaxing, make sure it lasts no more than 10 minutes and that the water is lukewarm, not hot. Colds, viruses and flus are more common in the winter months. Frequent hand washing aid in avoiding this illnesses. Try my DIY Cold / Chest Rub For Baby to relieve chest congestion and stuffy, runny noses. Also, place a finger scoop in warm bath for a relaxing vapor effect. Hypothermia develops when a child's temperature falls below normal due to exposure to cold, and often happens when a child plays outdoors in extremely cold weather without proper clothing. Treatment: Get your child out of the cold, and remove wet clothing. Have him move about and drink a hot beverage to raise his body temperature. Symptoms: Intense shivering; lack of muscle coordination; lethargy; confusion; drowsiness. In severe cases, the child stops shivering and becomes incoherent and possibly unconscious. Treatment: Call 911. If care is unavailable immediately, get your child inside. Dry her and wrap her in layers. Focus on warming core areas: chest, neck, head, and groin. Don't treat with direct heat. Symptoms: Bright-red, cold skin; low energy; lack of appetite. Treatment: Call 911 immediately. Move your baby to a warm room, make sure his clothes are dry, and wrap him in layers. Frostbite happens when the skin and outer tissues become frozen. This condition tends to happen on extremities like the fingers, toes, ears, and nose. You can avoid it by setting reasonable time limits on outdoor play, and have your children come inside periodically to warm up. Symptoms: White patches of skin on the ears, nose, cheeks, fingers, or toes; numbness. Treatment: Get your child inside. Have him change clothes and soak affected areas in warm-not hot-water until the skin turns pink. Warm washcloths may be applied to frostbitten nose, ears, and lips. Do not rub the frozen areas. After a few minutes, dry and cover him with clothing or blankets, and give him something warm to drink. Symptoms: Waxy, hard, white or grayish-yellow skin; numbness; burning sensation. In severe cases, the skin will turn blue to purple or splotchy; you should immediately go to the emergency room. Treatment: Follow treatment for frost nip. Rewarm skin that can't be soaked in water with blankets, or put feet or hands under your armpit or between your hands. Apply sterile gauze. Call a doctor. Do not use direct heat, rub the area, or break blisters. I love that you included car seat safety. It's often overlooked during the winter with all the bulky coats. Great post! these tips are so helpful! Hope you have a wonderful winter!